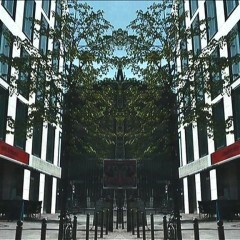 Film footage of Berlin streets is turned into a visual maze in this film series. Each of four films is dedicated to another part of the city. RUSH HOUR turns jammed highways into conveyor belts, belt freeways into assembly lines and makes the city to factory that produces senseless motion. 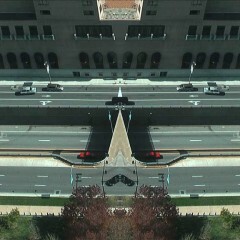 The footage is shot from the Gateway Arch in St. Louis, Missouri. 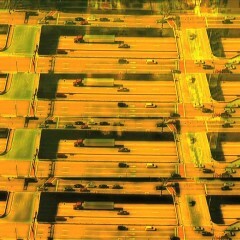 By post production modification the city scape is turned into a circle of streets that devour each other.